Best sellers can give powerful insights into aspects of poverty that are overlooked by scholars, government advisors and pundits, according to a report. The team of poverty researchers from The University of Manchester and the London School of Economics say novels should be taken as seriously as academic literature as an important source of knowledge on international development. “Despite the regular flow of academic studies, expert reports, and policy position papers, it is arguably novelists who do as good a job – if not a better one – of representing and communicating the realities of international development. 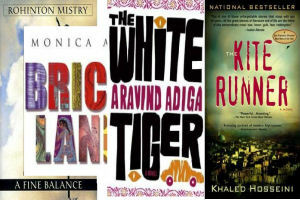 “Best sellers such as Aravind Adiga’s Man Booker Prize-winning The White Tiger’ and Rohinton Mistry’s ‘A fine balance’ convey complex ideas in a most powerful way,” said Dr Dennis Rodgers from The University of Manchester’s Brooks world Poverty Institute (BWPI). “While fiction may not always show a set of presentable research findings, it does not compromise on complexity, politics or readability in the way that academic literature sometimes does. Dr David Lewis from the London School of Economics said: “Storytelling is one of humanity’s oldest methods of possessing information and representing reality. “We’re not arguing that poets should replace finance ministers,” said BWPI Research Director Professor Michael Woolcock. The Fiction of Development: Literary Representation as a Source of Authoritative Knowledge is written by Dr David Lewis from the London School of Economics, and Dr Dennis Rodgers and Professor Michael Woolcock from the Brooks World Poverty Institute at The University of Manchester.